Kerala Kalamandalam Deemed University of Art and Culture is the most important learning centre for Dance and art forms in Kerala. 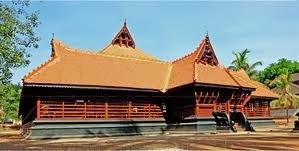 The Kalamandalam is located at Cheruthuruty near Thrissur on the banks of the river Bharathapuzha. The Kerala Kalamandalam was founded in 1930 by renowned poet Padmabhooshan Vallathol Narayana Menon. Kalamandalam was inaugurated in November 1930 at Kunnamkulam, and was later shifted to the village of Cheruthuruthy in 1933. In 2006, the Kalamandalam was accorded the status of 'Deemed University for Art and Culture' by the Government of India.